Hunt special prices do not include 20% guide gratuity or disposal fees. 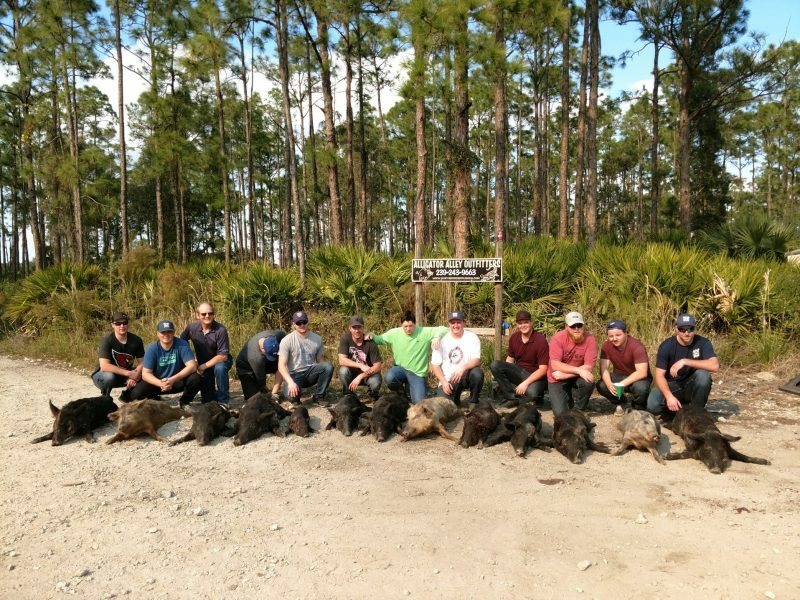 Join us for either two meat hog hunts of your choice or one Trophy Boar. Your hunt will start by meeting your guide at 2 PM the first day. 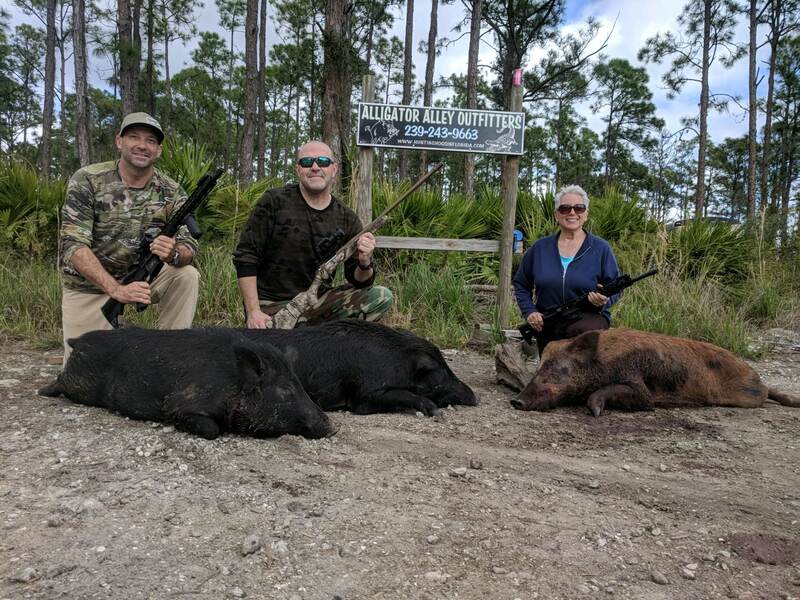 You may choose to hunt from one of our elevated house blinds over bait in our preserve, hunt from a tree-stand over bait in the wild, hunt from our Swamp Buggy in our preserve or try one of our exciting night-vision hog hunts. Or try out a couple different styles! We require a 50% deposit per hunter and non-hunting guest to be placed on your card when booking. The remaining balance is due when you arrive for your hunt with cash or local check (no credit card or out of town checks are accepted in the field). If you are purchasing a gift card, then a full payment upfront is required. 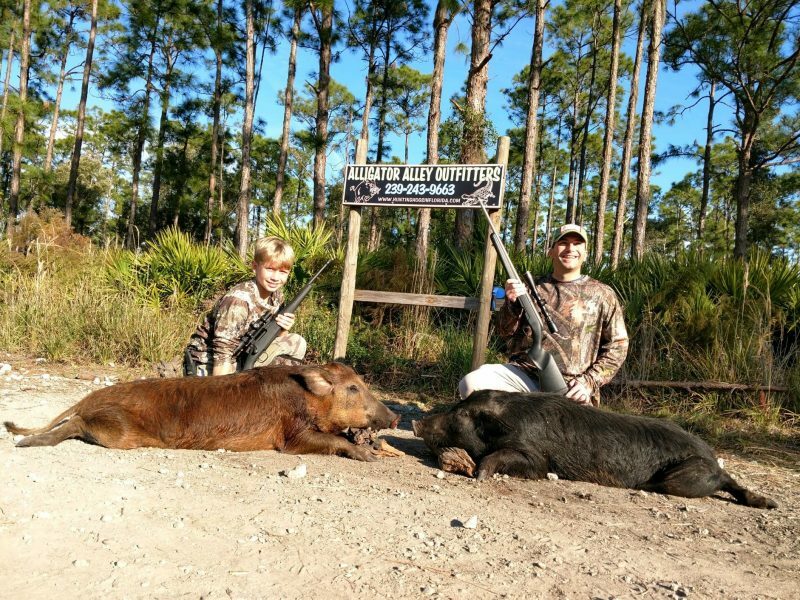 We guarantee you are in the best hands with Alligator Alley Outfitters, the most respected wild boar outfitter in Florida! All prices are for one hunter and one animal per day. Bring your own weapon or we will provide weapon and ammunition, free of charge. This package includes your choice of any hunting style that we offer for either two meat hogs or one trophy boar per hunter. Your hunt will start with 2 PM check-in the first day and check-out at 12 noon the second day. One night lodging included for no additional charge. This package can also be fulfilled in one day upon request. 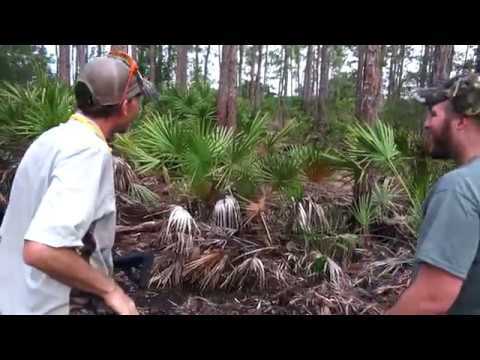 Due to the value of space and time at Alligator Alley all guests who are not hunting incur a guest fee. This includes access to sit with the hunting party, ride with the hunting party for eco tours, and to stay at the ranch while the hunting party is in the woods.